This light-filled MSV town home (in an MSV triplex building) is like new and move-in ready! 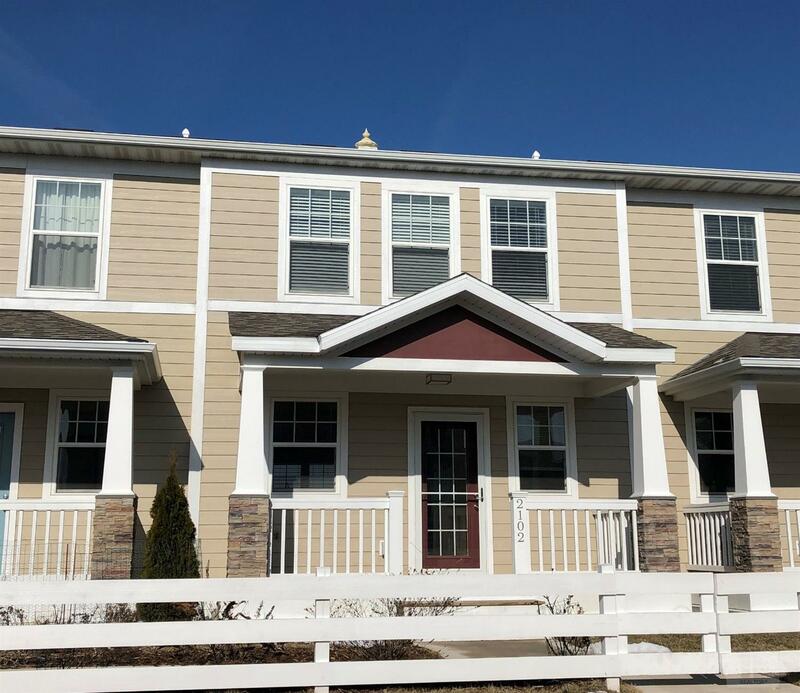 This unit has beautiful upgrades including all stainless steel appliances (Bosch dishwasher, 5-burner gas Kenmore stove), RO system, quartz counter tops, Hunter Douglas Reveal Magnaand blinds in the living room, and upgraded carpet. The main level has a lovely, open floor plan including kitchen, living/dining and a half bath. Upstairs there are two bedrooms and a large full bathroom with a sky light. Laundry is conveniently located on the second floor. HOA dues are $100 per month, and includes mowing so you can just enjoy! Come enjoy this quiet neighborhood adjacent to MUM and the domes.Covenants and restrictions apply.